Your customer requires all invoice line items to be reported as ‘Each’, and your data is reported in cases. Or your customer can only accept promotion deal discounts at the line item level, and your application data reports promotional deals at the summary level. With the data currently available to you, how will the customer requirements be met? Let the professionals at 1 EDI Source, Inc. explain how. Using our world class products, in conjunction with our consulting services, we consistently solve the data requirements of your customers. Your customers will always be making changes to their data requirements as standards, laws, and business needs change. 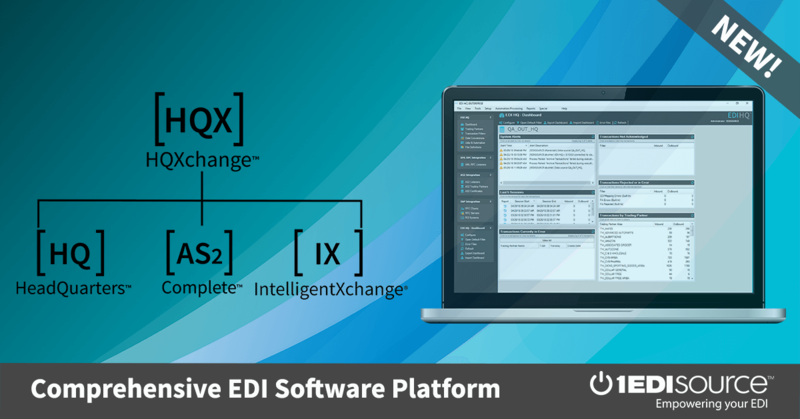 EDI can easily be the buffer for change. Using the products and services of 1 EDI Source, Inc, you can reduce or eliminate costly changes to your ERP (Enterprise Resource Planning) or DRP (Distribution Resource Planning) systems. Customer requirements should not be affecting your practices due to their business type – be it wholesale, retail, or both; or manufacturing. Our world class translators, EDI/HQ™ and EDI Complete, will buffer your business from constant change.